A comic history of humankind's love affair with booze, from the Sunday Times No. 1 bestselling author of The Etymologicon 'Haha! . . . Highly suitable for Xmas!' - Margaret Atwood Almost every culture on earth has drink, and where there's drink there's drunkenness. But in every age and in every place drunkenness is a little bit different. It can be religious, it can be sexual, it can be the duty of kings or the relief of peasants. It can be an offering to the ancestors, or a way of marking the end of a day's work. It can send you to sleep, or send you into battle. 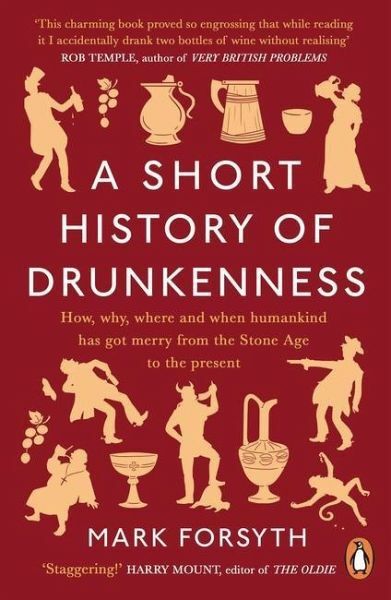 A Short History of Drunkenness traces humankind's love affair with booze from our primate ancestors through to Prohibition, answering every possible question along the way: What did people drink? How much? Who did the drinking? Of the many possible reasons, why? On the way, learn about the Neolithic Shamans, who drank to communicate with the spirit world (no pun intended), marvel at how Greeks got giddy and Romans got rat-arsed, and find out how bars in the Wild West were never quite like in the movies. This is a history of the world at its inebriated best. Sometimes you see a book title that simply gladdens the heart. Everyone I showed this book to either smiled broadly or laughed out loud . . . This is a book of some brilliance - probably best consumed with a restorative glass of something by your side.